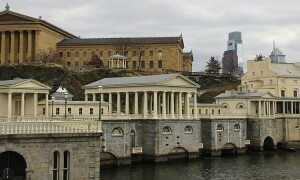 If your New Year’s resolution is to get fit, Philadelphia offers any number of wonderful options to do just that. From the old reliable running, biking, and hitting the gym, to the more unusual (rowing, riding horseback, playing bocce), Philly has it all! Over the years, arguably the most popular New Year’s resolution has been “getting fit.” Many people look in the mirror on January 1st, and are not thrilled by what they see: extra pounds and a lack of muscle tone. It’s a feeling, too — low energy and even mild depression are features of a life without exercise. Winter’s cold, gray days don’t help matters. It’s tempting to hibernate on the sofa until the flowers bloom again. But Philadelphia offers so many ways to rev up your level of physical activity — and have a ball doing it! The obvious first step is “stepping” — walking and running. It costs nothing to get out there and move in the fresh air. There are a great many scenic paths in the city, including Kelly Drive beside the Schuylkill River and Forbidden Drive in Fairmount Park. Both are super spots to enjoy a stroll or jog, and you will have lots of company from dawn to dusk! Up for more of a challenge? Do you ride a bike? When it comes to getting fit, it’s hard to beat a long bicycle ride. The Philadelphia area abounds in satisfying rides, from Valley Forge National Park, to the ultimate biking challenge: the steep hills of Manayunk (the top of Lyceum Street is aptly called, “The Manayunk Wall.”) Who knows? You may someday qualify for one of cycling’s most exciting events, the Philadelphia International Cycling Classic! Tennis, anyone? Don’t let cold weather stop you! Philadelphia has a number of great indoor tennis courts. Prefer a swim? Philly has that too, with quite a few delightful indoor pools. If you wait till summer, nothing beats the gorgeous Kelly Pool in Fairmount Park. Beyond the basics, there are some very special alternative avenues to fitness in Philly. One of the city’s iconic sights is scullers rowing on the Schuylkill. Many of these rowers are serious athletes training to compete in regattas, but there’s room on the river for beginners as well. For some terrific lessons, from basic strokes to more advanced techniques, check out the unique “boathouse without walls” BLJ Community Rowing. Horseback riding catch your fancy? You don’t need to own a horse to learn and enjoy this great sport. Chamounix Equestrian Center offers lessons year-round, focusing on beginner and intermediate riders on their lovely 1,400 acres of woodland and open space. Also serving the community with horseback riding programs for at-risk youth, CEC is truly a Philadelphia treasure. How about rock climbing? Ralph Stover State Park in Bucks County is a prime spot for climbers at all levels — and what beautiful views! Getting fit through team sports is easy in Philly! From spring through fall, the fields of the city are alive with amateur soccer and softball teams at play. For something completely different, try a favorite from the old country: bocce! It’s fast paced and so much fun … and you can even play Glow Bocce in the dark near the Art Museum. For a gentler but still satisfying workout, golf is your game. 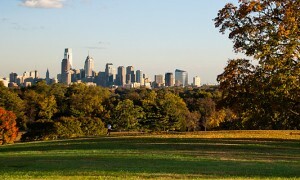 Philly boasts six top-notch public golf courses, each designed by a world class golf course architect. Collect a foursome, grab a tee-time, and go (walk and carry your clubs for the best exercise)! In addition to all of the above suggestions for getting fit in this area, there’s always the gym. Why pick a cookie-cutter national chain when you can sweat it out at City Fitness? Two convenient center city locations makes this gym a real star! The best way to get fit in Philadelphia in 2016? It all starts with moving here! Elise Seyfried is a freelance writer based in Philadelphia, PA. She is the author of two books of humorous spiritual essays, and a playwright (co-author of 15 plays for children). Her work regularly appears in the Chestnut Hill (PA) Local and The Word in Season (devotional). She has also written for The Philadelphia Inquirer, The Lutheran Digest, Guideposts magazine, Metropolis and The Wittenburg Door. Elise was the lyricist for the Stanley Drama Award-winning musical Flight, based on the life of Howard Hughes. Elise has served as publicist for the Lewes (DE) Chamber Music Festival, as well as the Atlantic Music Festival in Waterville, ME.She is the mother of five children, and her family life is prominently featured in her writing. 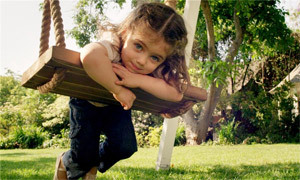 Elise's topics to date have included children/parenting issues, humor and spirituality. An avid cook, Elise also enjoys writing about food and dining. Since 2002, Elise has been Director of Spiritual Formation at Christ's Lutheran Church in Oreland, PA; previously, she worked for years as an actress. She blogs at www.eliseseyfried.blogspot.com.